Saturday’s ad is for Bière Fine Luxem, from around 1930. From the late 1800s until the 1940s, poster art really came into its own, and in Europe a lot of really cool posters, many of them for breweries, were produced. 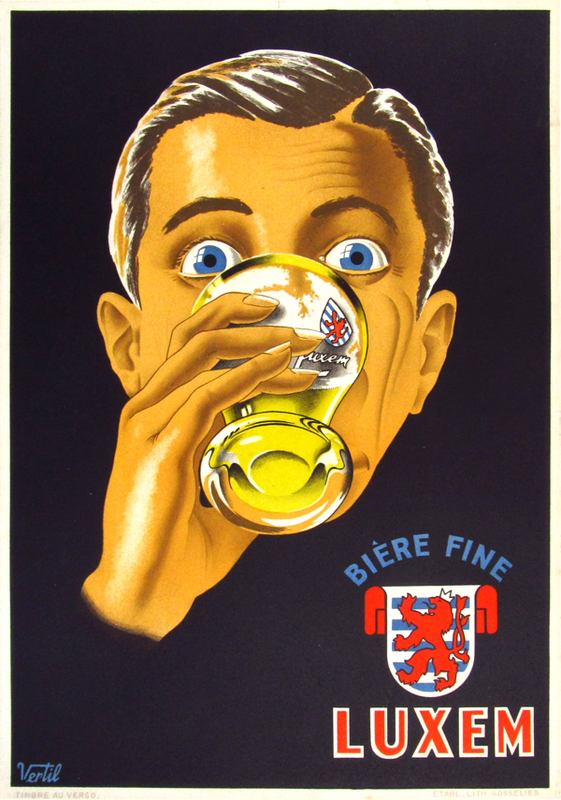 This poster is for Bière Fine Luxem, essentially advertising beer from Luxembourg. The poster was created by Belgian artist Jean D’Ylen.